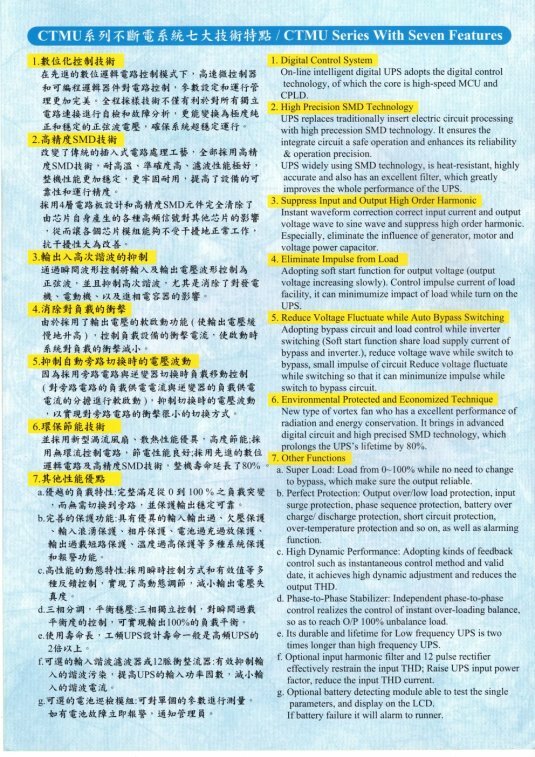 U.P.S-Uninterruptible Power Supply/U.P.S (Three Phase)-Chin Tairy/ Yu Cheng Power Co Ltd.
1. Full digital touch screen LCD and display (320x240 dots), simulation flowchart display. 2. Online double conversion design, DSP technology with perfect protection functionsand high reliability. 3. Flexible turn on power technology for different loads and systems, It can be operated by one set or (1 + 1) connected or (N + 1) and running. 4. High efficiency, the efficiency up to 95% when ECO mode. 5. Short-circuit system through rigorous testing and 2KV high voltage insulative testing. 6. Isolation function by output transformer reduces harmonic by load currents and supply mains interference. 7. 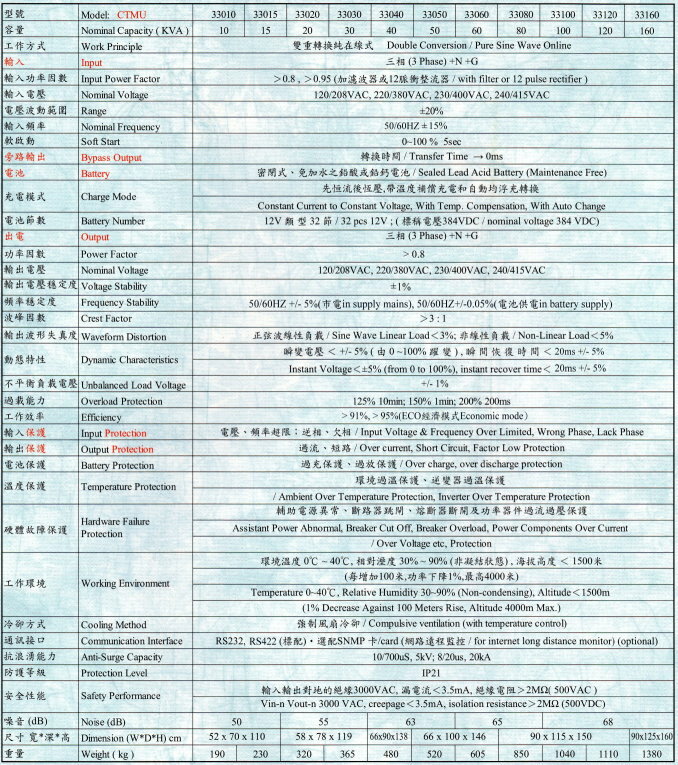 DSP fully digital control technology, precise control, fast, reliable and stable. 8. 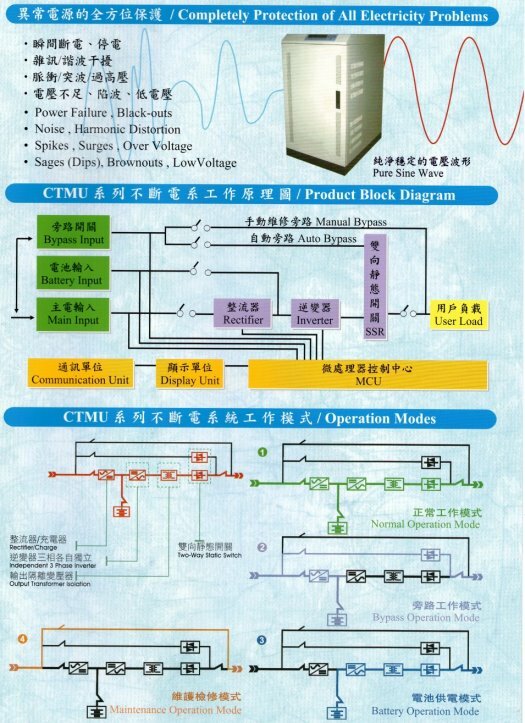 12-pulse rectifier with an optional increase the UPS input power factor, effectively inhibited harmonic pollution. 9. Optional independent battery testing kits and it can be detected up to four groups of single battery operating parameters (up to 160), the wisdom battery management. 10. Intelligence monitoring system, provide RS232, RS422 dry switching contact ports, built-in Modem interface, battery testing interface, optional internal SNMP card and battery detection module. 11. 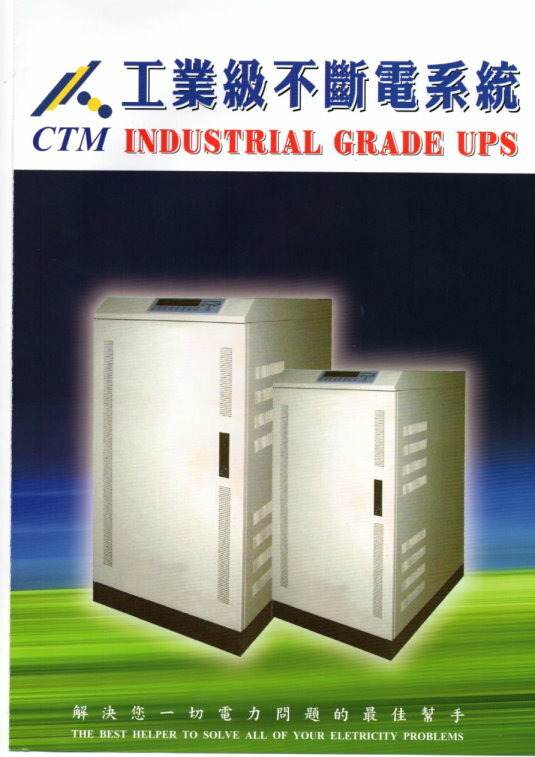 The rated capacity respectively 10KVA, 15KVA, 20KVA, 30KVA, 40KVA, 50KVA, 60KVA, 80KVA, 100KVA, 120KVA, 140KVA and 160KVA, 200KVA, 250KVA, 300KVA, eight units can be directly connected in parallel.